Don’t Settle For Just Asphalt Shingles, Know Your Options Roof is a very important structure in any property, be it a home or a commercial establishment. The choice of roofing material and the expertise of the roofer you hire will determine if you have a great roof or you have one that can jeopardize your property and the habitants. Most homeowners opt for asphalt shingles for their roof. It has become, kind of a default choice for homeowners. While commercial properties do contemplate several types, from built up roofs to modified bitumen roofs, residential property owners seem to be in love with asphalt shingles. There is no doubt that asphalt shingles have its advantages, but there are many other options which you may want to consider. Euroshield rubber roofing is becoming extremely popular. It is actually much better than asphalt shingles. The only shortcoming of Euroshield rubber roofing is its price. It is considerably expensive in comparison with asphalt shingles, but the added investment will be justified in many ways. Asphalt shingles typically last for twenty five to thirty years. >Euroshield rubber roofing lasts for seventy five years and more. Euroshield rubber roofing comes with longer and more comprehensive warranty. They can be mimicked to look like slate or genuine stone. You can have difficult roof shapes easily attended to with Euroshield rubber roofing. 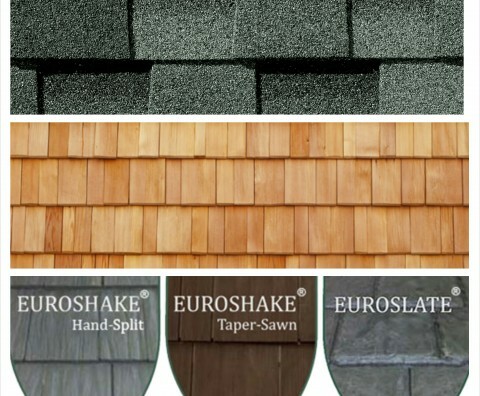 From the aesthetics to the endurance ability during hailstorms and extreme weather conditions, it is a much better alternative to asphalt shingles. Metal roofing is also becoming common. Aluminum roofing and steel roofing have caught up in many parts of the country. They can look sleek, they don’t cost a massive fortune and they are extremely durable. You can imagine what aluminum and steel roofing can endure, regardless of the nature of the weather extremes. Many homeowners seriously consider asphalt shingles and metal shingles before choosing one. You should indulge in an objective comparison and choose what emerges to be better for your property and suits your budget more. Cedar shakes are also a worthwhile alternative to asphalt shingles. A wooden roof can look better than most materials, including asphalt shingles. Cedar shakes have only one shortcoming. They need to be maintained more often than the other materials but the durability and aesthetics can more than compensate for that. There are many composite or synthetic roofing materials to choose from today. From various kinds of rubber to recycled materials, ceramic stuffs to composite materials with fifty years of warranty, choices are galore when it comes to roofing.